Always one to remind us that videogaming is a big business, gaming giant Activision Blizzard is looking to expand its horizons to the Middle East, according to a speech given by CEO Bobby Kotick in Abu Dhabi today. As first reported by the Wall Street Journal, the speech, given at the Abu Dhabi Media Summit, was part of Kotick’s trip to the country to seek potential investments and partners in the Arab world, a region which has around 300 million people. Kotick, whose business-driven philosophy in videogaming has made him very unpopular in the community, said that Middle Easterners who can afford videogames were “wealthy”, “educated”, and more likely to embrace videogames over other forms of media.“They do not have the same investment and commitment to film and TV,” he said. The Wall Street Journal also cited a study by consulting firm Strategy&, which claimed that the Middle East gaming market is set to explode from $1.6 billion this year to $4.4 billion by 2022, a growth rate that exceeds that of China, Russia, and South Korea. The Santa Monica-based publisher’s efforts to expand internationally should come as no surprise, as it has already made strides in markets like China. The company currently has a deal with Chinese Internet company Tencent, who is publishing and marketing a free-to-play shooter you probably haven’t heard about: Call of Duty: Online (pictured above). 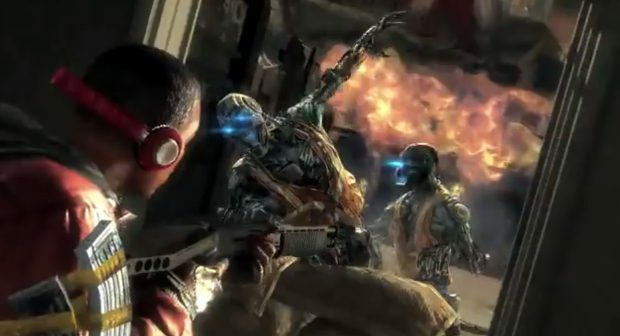 This particular CoD is available only in China, and features “unique content atailored to the needs and interest of gamers in China.” There are, however, talks to bring the game to other regions. Activision Blizzard, in fact, makes 65 percent of its revenue from regions outside the United States, and according to Kotick, the publisher is hoping that once Activision offices are established in the Middle East, the region would get its own exclusive franchise developed by locally hired employees.